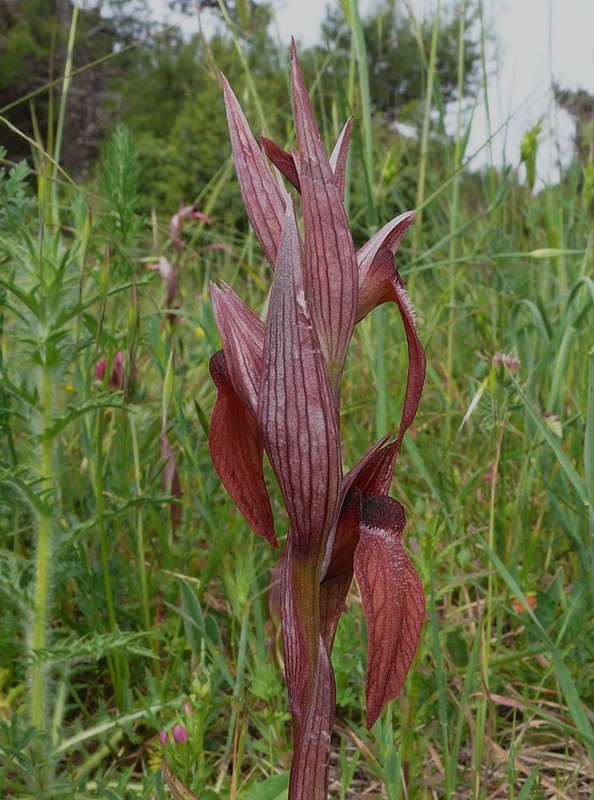 This species was first described by M. L. Perko in 1998 from Istria, Croatia and is a member of the large S. vomeracea group of Serapias, having originally been classified as S. vomeracea ssp istriaca . 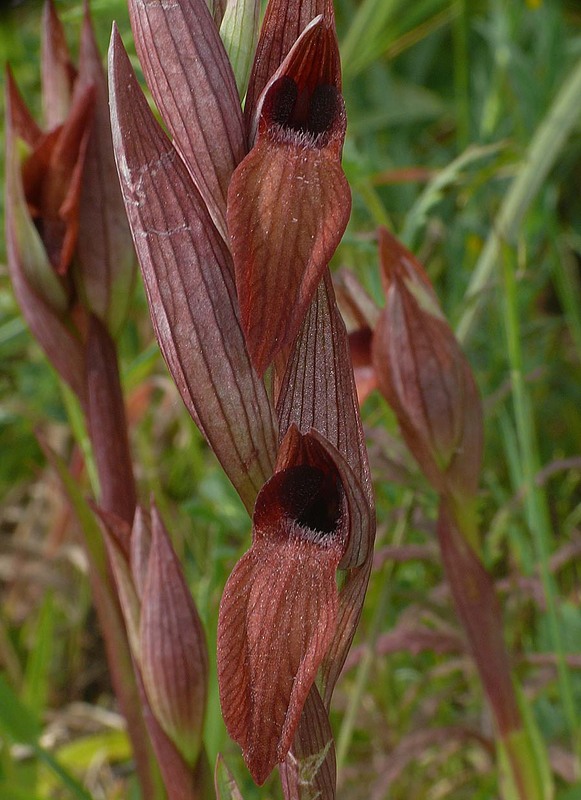 S. istriaca is endemic to the southern tip of the Istrian peninsula where it is a reasonably common species and often found growing alongside fellow group member S. cordigera. Its similarity to this species is apparent but in pure populations it presents characteristics that will readily distinguish it. 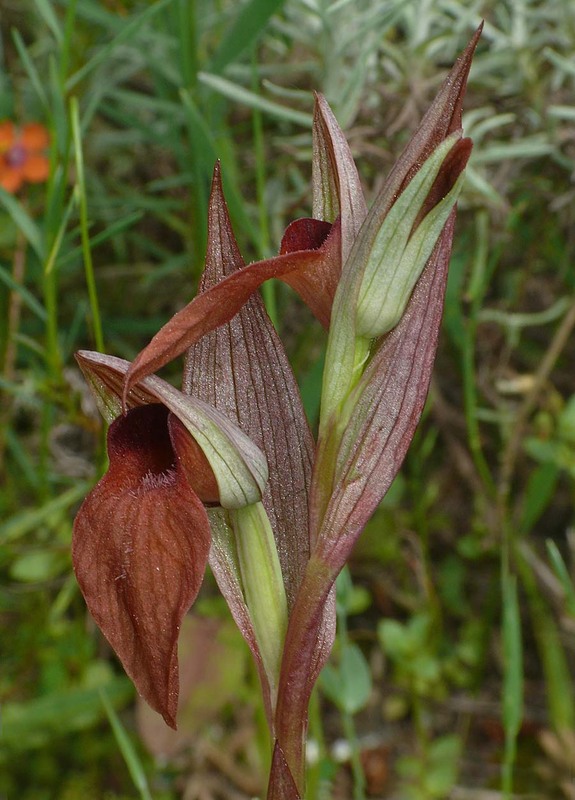 Its colouration is the first and most obvious feature as it tends to be markedly lighter in shade than S. cordigera , in which both the epichile and hypochile are normally dark crimson to deep coffee in colour. 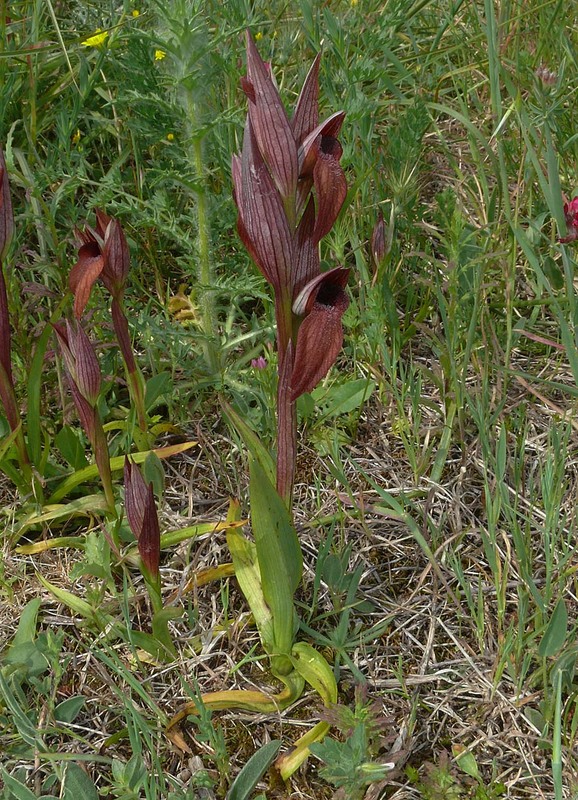 S. istriaca does not seem to demonstrate any significant colour variation, typically being just lighter or darker shades of the ubiquitous Serapias brick red. 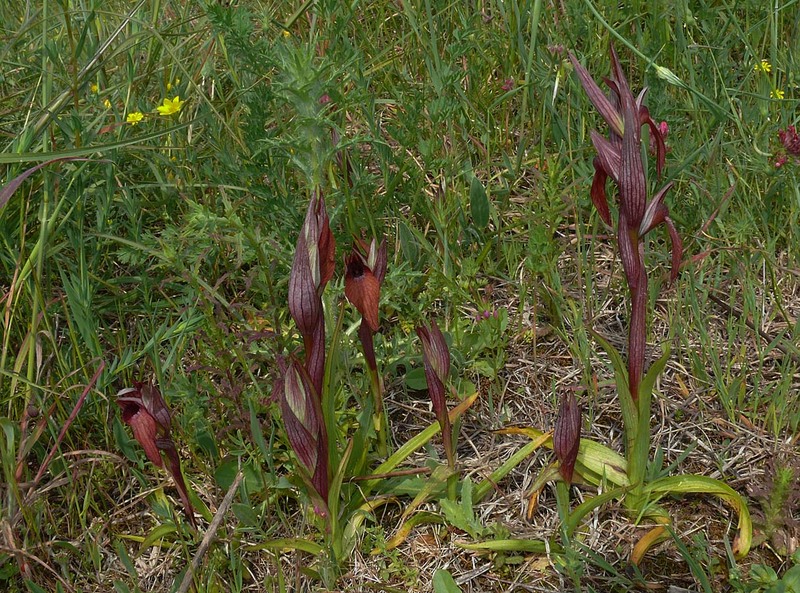 The plant itself is however variable and being of probable hybridogenous origin, can differ in both size and form from one population to another. 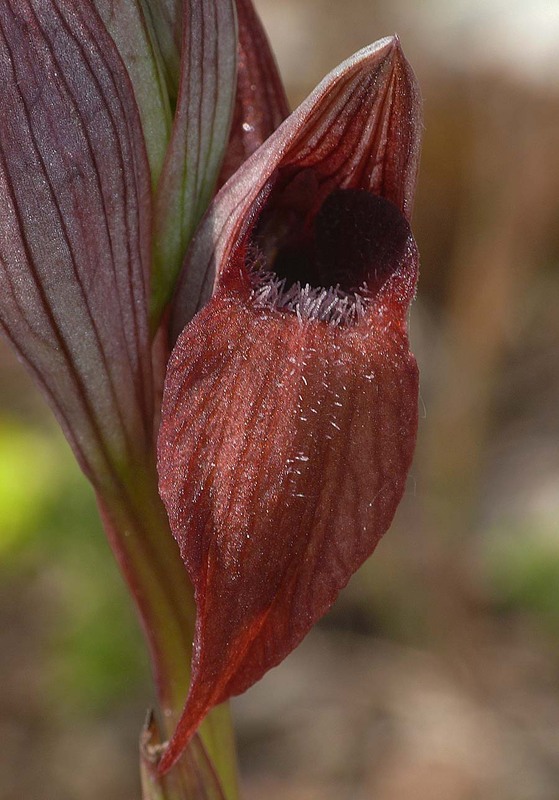 Bracts are normally either longer or the same length as the hood but when attempting to differentiate from S. cordigera, the most important diagnostic feature is the lateral lobes of the hypochile, which unlike the latter species, barely project beyond the hood. The epichile although both extended and broad, is not prominently heart shaped. 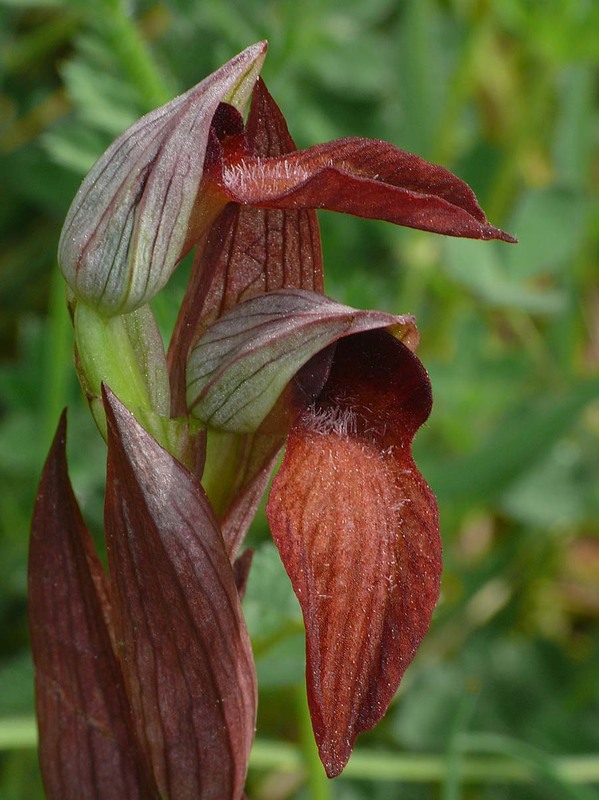 As has already been mentioned, S. istriaca has an extremely limited range in the southern most region of Istria and particularly within the the Premantura Naional Park where it can be found without great difficulty, growing in calcareous grassland and coastal garrigue. The photographs are from the park and date from early May, at which time the flowers were only just beginning to appear.